← Lost Profit Claims in Construction Litigation: Speak Now, Or Forever Hold Your Peace? Winston Churchill once observed, “To improve is to change; to be perfect is to change often.” (UPDATE 3/7/14: I SWEAR I pulled this quote before watching Season 2 of House of Cards; my wife and I had a chuckle when Frank and Remy used it). While this blog is unlikely to achieve perfection, I am constantly seeking opportunities to improve it. To that end, last week I introduced three new Twitter timelines to my sidebar: one showcasing chirps from leading AGC and ABC tweeps; one delivering the latest construction industry news; and one that features the tweets I favorite. My goal? To keep you informed while introducing you to some of the construction industry’s thought leaders. Even bigger changes arrive this week. Starting tomorrow, in an attempt to provide you with more focused, consistent content, I am endeavoring to deliver three regular features each week: the Monday Memo, some Wednesday Wisdom and the Friday Forum. 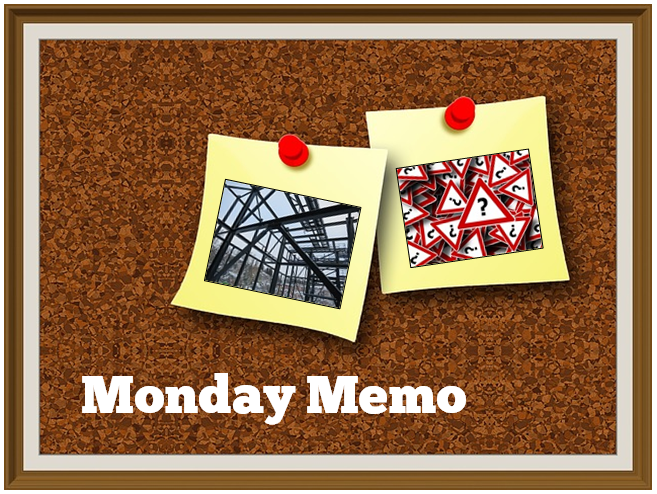 The Monday Memo will be my weekly in-depth blog post analyzing a legal issue relevant to members of the construction contracting community, particularly stakeholders in North Carolina. Whether it’s analysis of a case, statute or policy proposal that could affect your business, the Monday Memo will seek to explore all the angles and provide you with bulleted takeaway points. 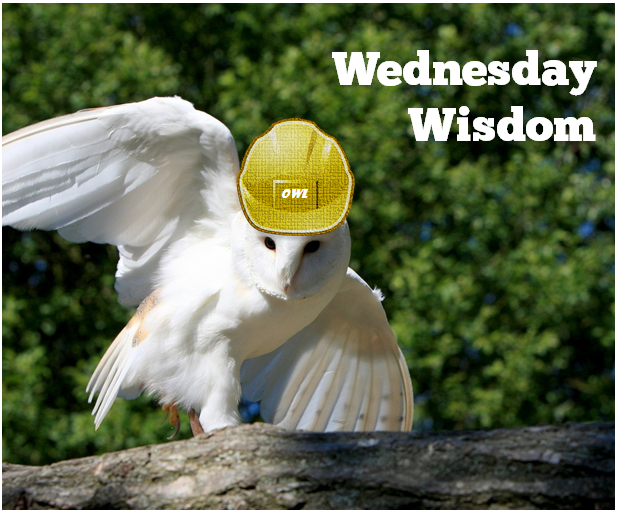 Wednesday Wisdom will provide you with a hump-day quick hit. It may alert you to a construction risk you might not be thinking about, identify an online resource worthy of bookmarking or provide a brief contract negotiation, performance or claim resolution tip. My goal here is provide value to your business in two minutes or less in the middle of each week. 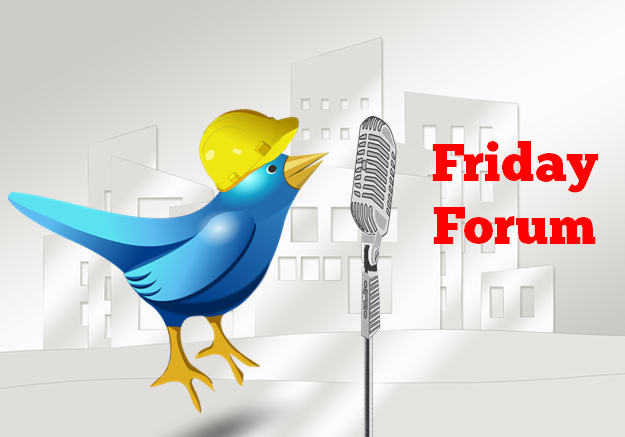 Last but not least, the Friday Forum will showcase the tweets of my construction risk management influencers and my reactions to their observations. Like the #AEC Top Tweets it will be replacing, the Friday Forum is intended to amplify the perspectives of others, highlight the vibrancy of the online AEC conversation and to further the dialogue by providing my spin. I can’t promise I’ll always deliver three posts each week — client work comes first, after all, and occasionally can be all-consuming — but I will do my level best to meet this regular schedule. I truly hope you will enjoy the changes. Ideas about future posts are most welcome; please feel free to comment below with your suggestions. As always, thanks for reading N.C. Construction Law, Policy & News. Can you include a brief Tweeting 101 for us that are not a nimble with the Twitter world? Thanks! I hope others feel it would be useful to learn a little more about this part of social media. Hi, Kathy! Thanks for your note. I’ve learned how to maximize Twitter through a lot of trial and error. It takes awhile to build a loyal following, but if your content is strong, eventually you’ll see results. Step 1 is to create an account with Twitter and design an attractive, informative profile page. Step 2 is to surf the web for the basics on Twitter terminology and etiquette. Step 3 is to figure out how to manage the firehose of information you’ll receive from the “tweeps” (Twitter peeps) you end up following. As you’ll see from my profile, I follow over 1000 folks. I use the application Tweetdeck to organize the folks I follow into different lists. I have prioritized those lists so that if I have very little time to keep up with my “twibe” (Twitter tribe) — a phenomenon I experience most days — I’m at least seeing if the folks who I consider to be my leading influencers are saying interesting things. Hope this helps. I can’t emphasize enough the importance of using an application like Tweetdeck or Hoot Suite to manage your Twitter feed and help you schedule your own tweets (it just looks like I tweet all day — in reality, I schedule almost all of my daily tweets over breakfast). I also can’t emphasize enough that you’ll eventually just have to take the plunge. My advice is to stay patient, even through the frustration. It’s worth the investment. I’ve met a lot of interesting people through Twitter, and am beginning to conduct business with some of them. Thanks, Matt! I’ll give it a try!